The James Bond franchise decided to celebrate the 50th anniversary of 007 on film by making a lot of those other Bond movies look bad. The key, oddly enough, wsa the financial troubles going on at MGM Studios, which delayed the production of “Skyfall” by some two years (Bond movies tend to come out every two years, the last being 2008’s “Quantum of Solace,” which had the opposite problem — it was rushed into production because of the writers’ strike.) But that extra time was used well, as the producers were able to attract Oscar winner Sam Mendes (“American Beauty,” “Road to Perdition”) and screenwriter John Logan (“Gladiator”). Their presence meant the movie was able to attract a cast much stronger than the usual Bond movie, including Javier Bardem, Ralph Fiennes and Albert Finney, and a much stronger filmmaking crew, including the legendary Roger Deakins as cinematographer. The result is a film that has all the hallmarks of great Bond — gangbusters opening action sequence, exotic locations, and one of the best villains in decades — but with a lot more. The film is more daring visually — that one fight in the Shanghai high-rise, shot in one take in silhouette, neon jellyfish undulating behind the fighters, is something else — but more more daring narratively. Left for dead by M and MI6 (the closest thing to a mother and his family), Bond spends the first half of the movie hesitant, vulnerable, emotionally brittle. Watch it again on DVD, and you see how marvelously subtle Daniel Craig’s performance is — he plays Bond trying to project the invulnerable 007 to everyone around him, yet clues the audience in on how much damage he’s really trying to recover from. “Skyfall” came out on DVD and Blu-ray this week, and the Blu-ray is the one to pick up, not just for the superior visual quality, but because it has a lot more extras. There are over two hours of “Shooting Bond” featurettes detailing everything from the characters to the locations to the opening and closing sequences. And there are two commentary tracks, one by the producers and one by Mendes. I really like the chatty and informative Mendes track, which has some of the usual isn’t-this-best-boy-great glad-handing but is pretty insightful in digging into the inspiration behind certain scenes, isolating moments in the performances that might otherwise fly by. On the first day of shooting for Bardem, at Charing Cross Station, Mendes recalls standing with Craig watching Bardem’s performance, specifically how he adds a delighted giggle at one moment that wasn’t in the script. “This is going to be fun,” Craig murmured. He was right. 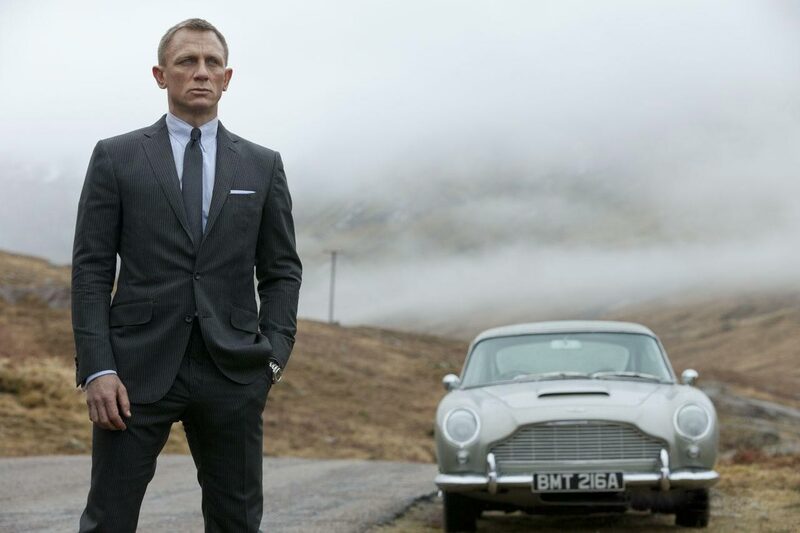 After Quantum of Solace, I thought this franchise was starting to die down a bit but thankfully, Skyfall brings it back with a look and style that harkens back to the old days, but also shoves some new things in there as well. Good review Madison. Thanks! Totally agree about the “look and style” of Skyfall being more classic after the herky-jerky hyper-cutting of Quantum (which seemed like an attempt to imitate the Bourne movies). On the Skyfall commentary, Mendes talks about how he and cinematographer Janusz Kaminski went for something more classical, trying to ensure every shot looked as good as possible. Thanks for reading and commenting!